Note: If you are a Sirius XM Employee, please register SPECIFICALLY with your Sirius XM employee address. 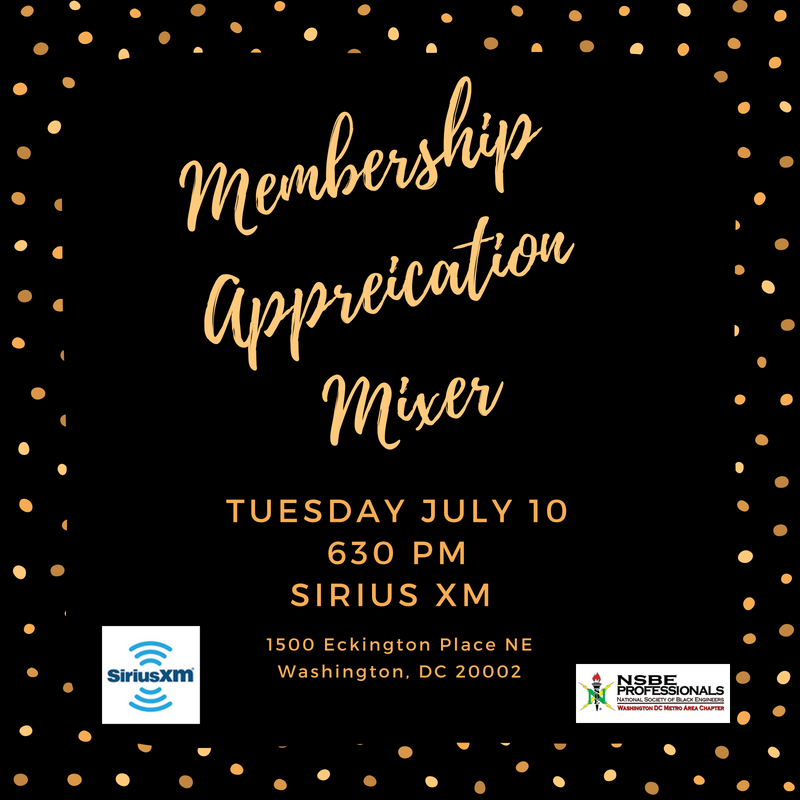 Join NSBE DC at our Membership Appreciation Mixer on Tuesday July 10, 2018 at Sirius XM from 6:30pm-8:30pm! NSBE DC will be acknowledging members who have worked tirelessly in fulfilling the NSBE mission in all aspects throughout the year! There will be food and refreshments served, along with entertainment, games, and the chance for networking and fellowship. The Membership Appreciation event is FREE for NSBE DC members and $10 for the general public. The nearest Metro station is NoMa-Galludet on the Red Line if you take the Metro. If you are driving, please send your name to membership@nsbedc.org by 2 pm on July 10, as we need to submit your name to Sirius XM.